SOYO Meetings should be opened and closed with Prayer and Music. APolytikion for St John Chrysostom is available for download. St. John Chrysostom is the Patron Saint of SOYO. 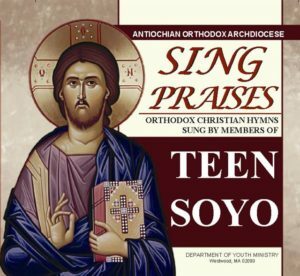 Music Sung by SOYO Members and available for Download and Purchase online. Also Available for Download from ITunes and other Popular Download services.